Technically, the 20 minute drive from Shady Maple Lane to Salem Lake (just a couple of minutes southeast of downtown W-S) does not exactly qualify this route as a Travel Trail. 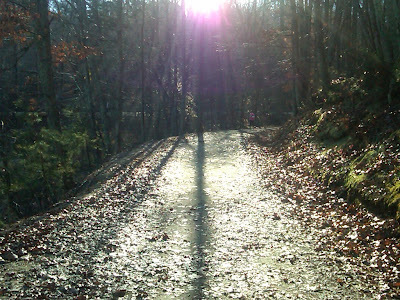 However, this run is just so outstanding that I have to include it. 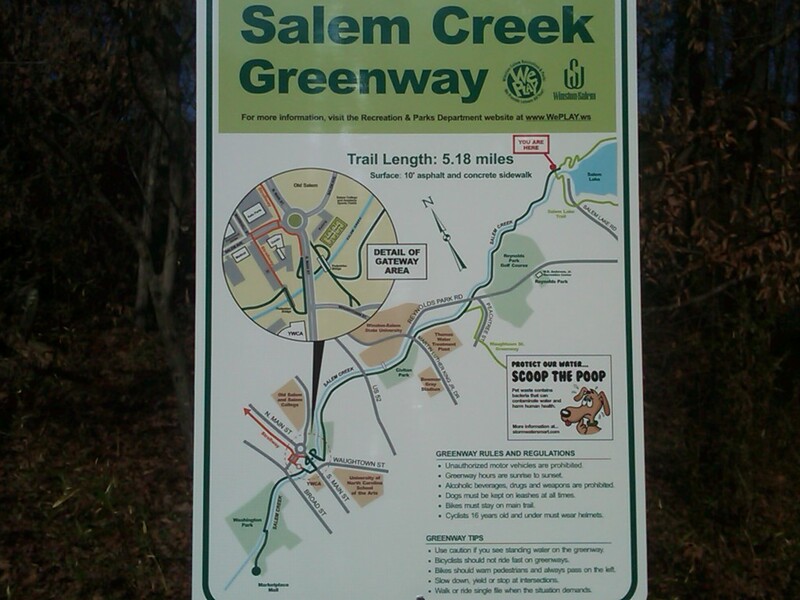 Over the past two years I have spent a majority of my Saturday mornings running some variation of the Salem Lake trail. 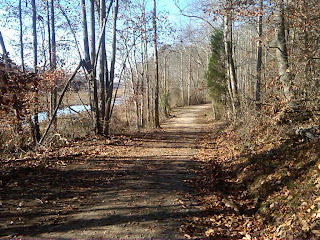 It is my favorite place to run ...... anywhere! 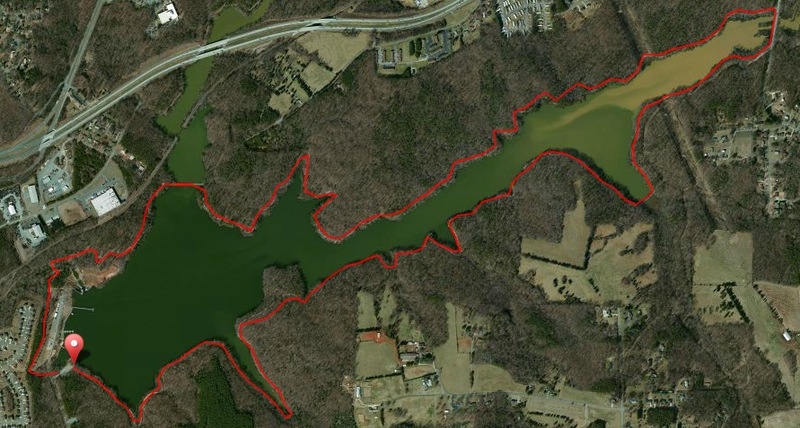 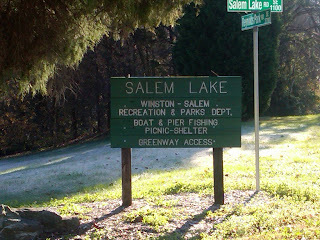 Salem Lake is managed by the Winston-Salem parks and recreation department. 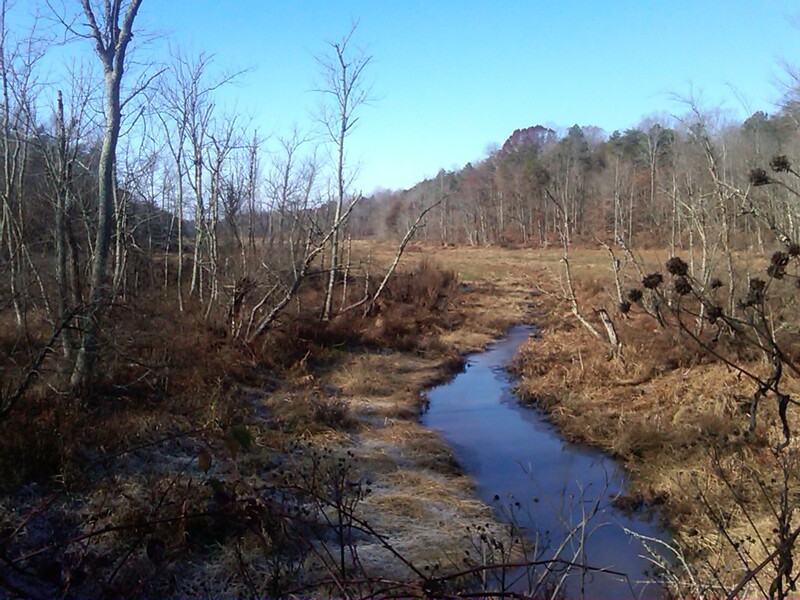 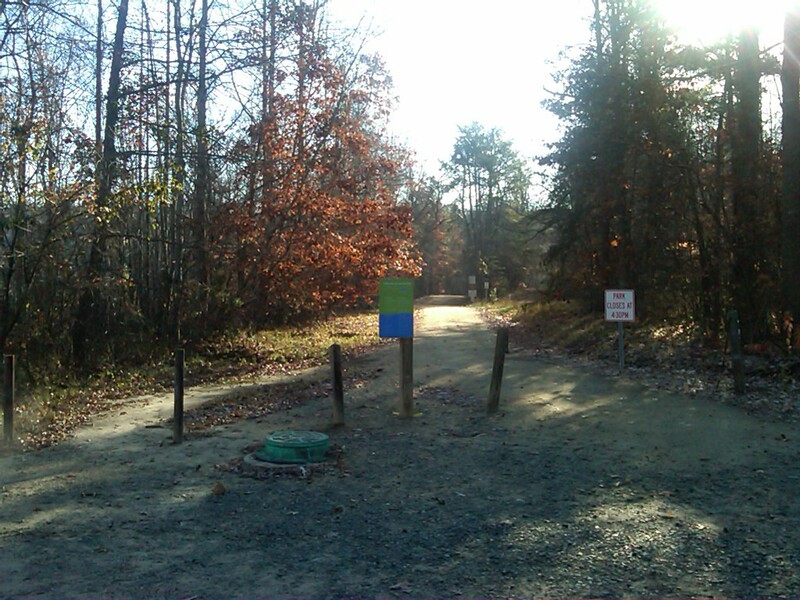 It also benefits from a few volunteer organizations and trail maintenance fundraisers, such as the annual Salem Lake Trail runs (see 30K Run ). 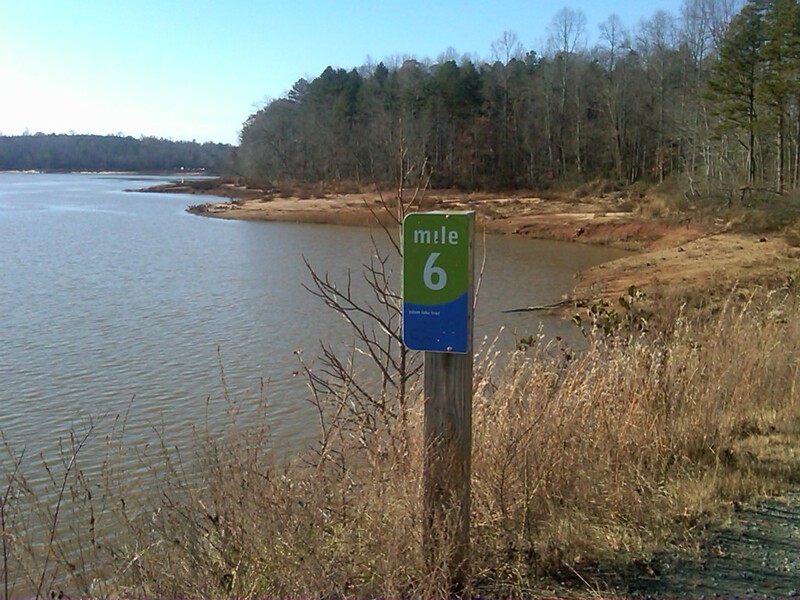 The primary route is a 7 mile loop around the lake. 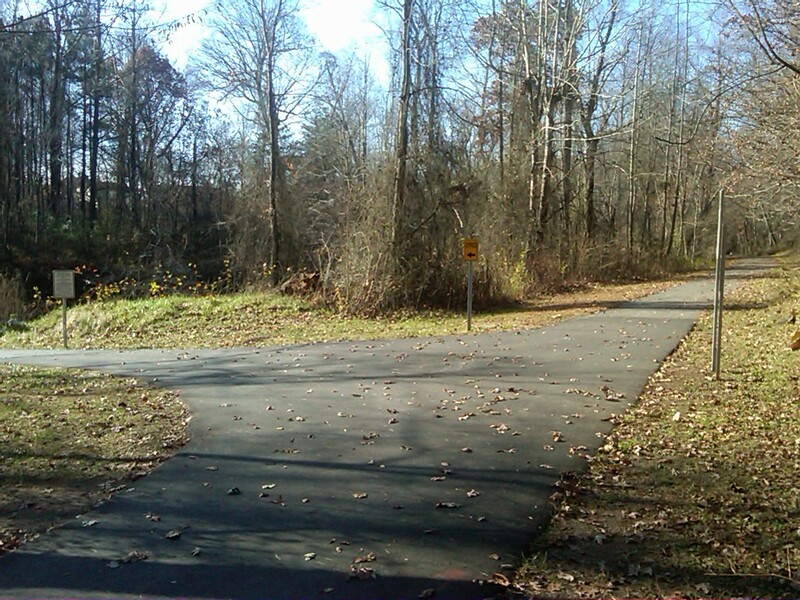 The elevation gains are not significant, but it is by no means a flat course. The most drastic hills occur in the first two miles and in the final mile along the paved path back behind the dam and leading to the parking lot. 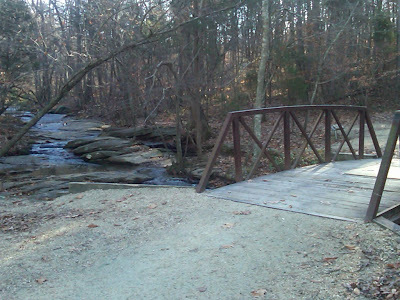 In addition to the lake loop, a path leads from the dam area on the trail back past Winston-Salem State, the Old Salem Visitor Center and concludes at Marketplace off of Peter's Creek Parkway. 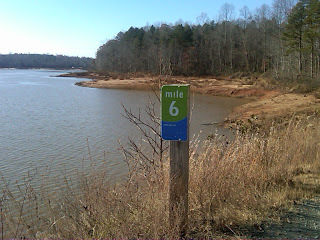 This route is just over 4 miles from the lake. Often, I will park at Marketplace and run to the lake. 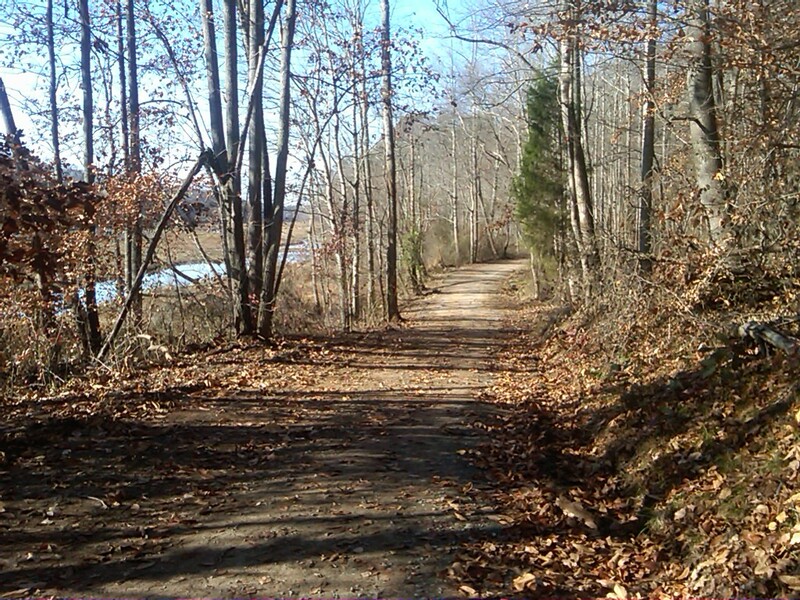 When taking this path and completing a loop at the lake, you can get in a great 15 miler. 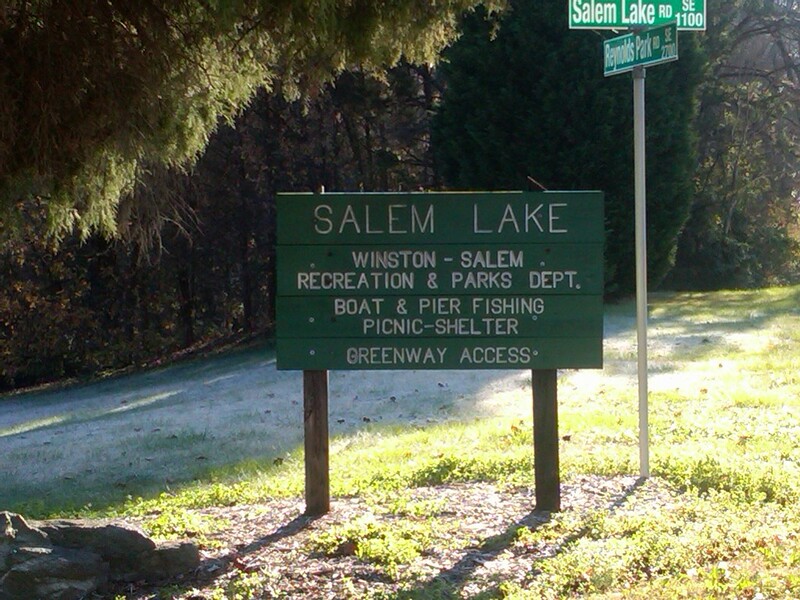 There are many things to like about Salem Lake. 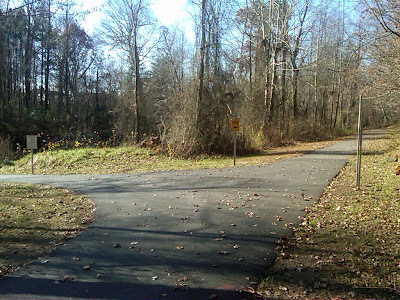 A nice, wide trail that has recently been smoothed out, yet left natural for most of the path. 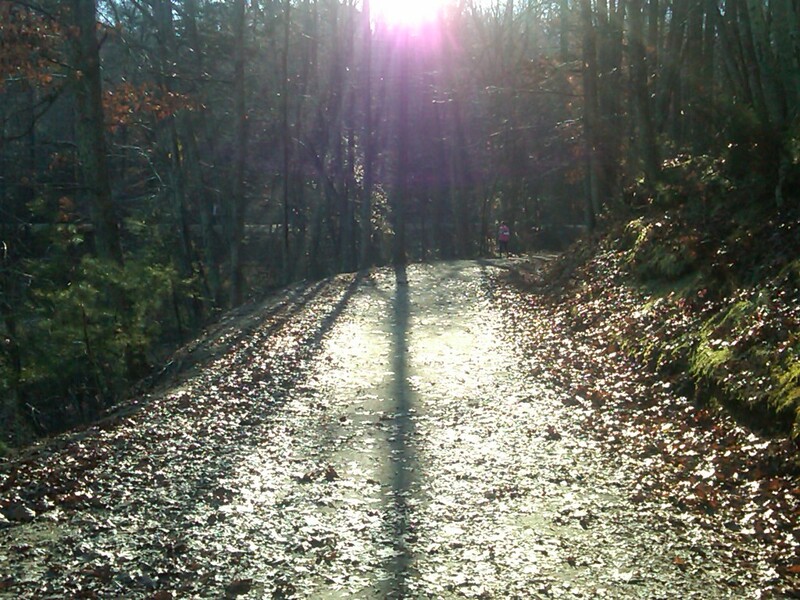 The seasonal changes that allow for running under the full canopy of summer trees, to running through the leaves in fall, to my favorite season at the lake, the winter path with trees bare and views that are truly inspiring. 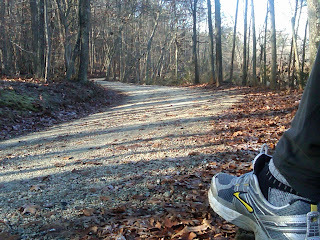 Finally, it's a great runner's run. 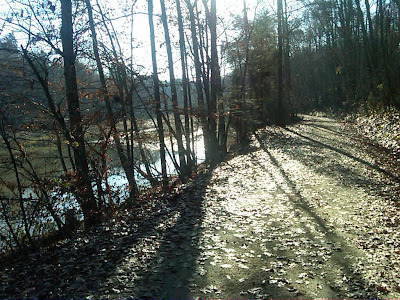 Cross country teams routinely practice there on Saturday mornings, as do many running clubs and groups. 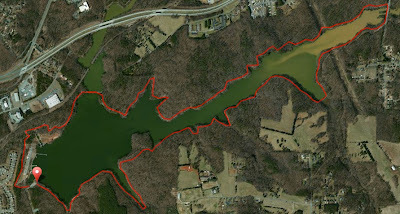 If you live in the Triad, you really are missing out by not running Salem Lake as often as you can. If you ever visit the area, I highly encourage you to plan a run there. 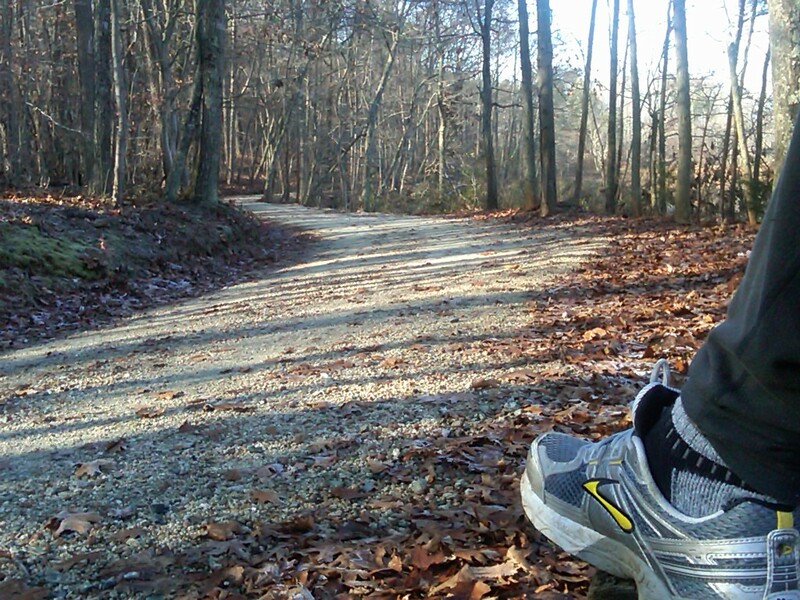 The bonus is that I can point you to a nearby Krispy Kreme for which to enjoy a post-run treat!